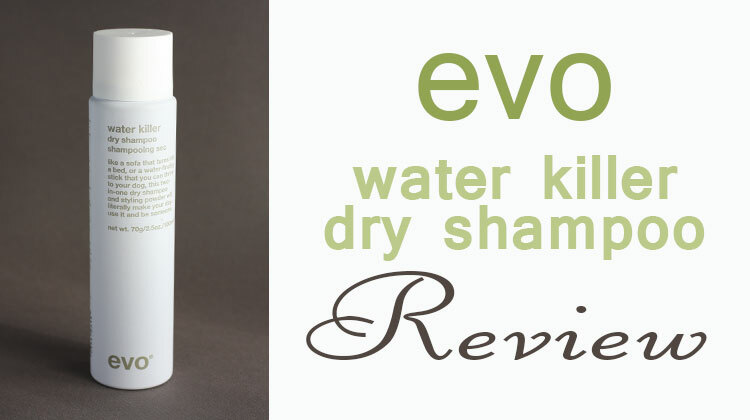 Share the post "Evo Water Killer Dry Shampoo Review"
Dry Shampoo is a lifesaver with someone with fine long hair. However, dry shampoos can be frustrating as well. This is due to a packaging design flaw by most brands. I found, shortly after purchasing a can of dry shampoo, and using it a few times, the nozzle would clog and make it unusable. Tresemme was the worst brand for clogging problems. I bought over 7 cans of Tresemme and they all clogged shortly after purchase. I nearly gave up using dry shampoos because of this packaging flaw. I was starting to feel skeptical as to if the same thing would happen to any and all brands on the market. Then the brand Evo contacted me to see if I would like to try some of their products. They sent me a package of complementary products. I was surprised to discover that they make a dry shampoo. I have used it now for over 3 three months and have yet to have the nozzle clog. Finally, I found a company that understands my concerns regarding the nozzle clogging. The dry shampoo is excellent. I prefer it over Tresemme and Pssssst Instant Shampoo. It worked better on my fine hair giving it a clean and full body feeling. I admit I would have not even known Evo products were on the market if they didn’t contact me and send me complimentary samples and I am really grateful that they did. I would like to thank Evo for making a dry shampoo that has a nozzle that doesn’t clog and works excellent on long, straight fine hair. I give you two thumbs up for your product.